Got succulents needing a pot? 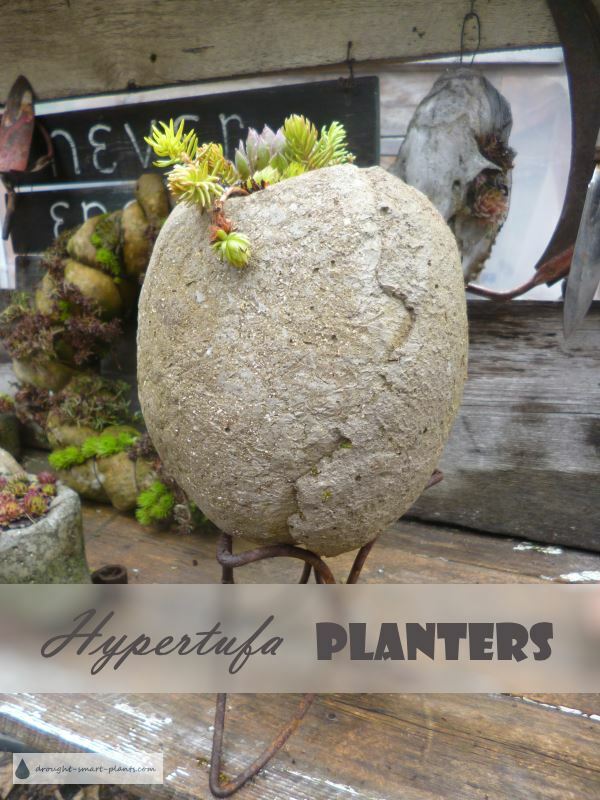 Why not choose Hypertufa Planters? They've got the perfect conditions for these drought tolerant plants. The roots of succulents are usually of two types; one longish tap root, then lots of fine and delicate hair roots. The hair roots reach out to the sides of their container, then hit a rough surface and branch out. 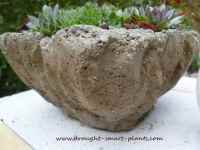 Hypertufa planters provide the perfect situation for this - more roots equal more stability. 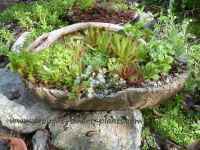 There are lots of options, from tiny little thumb pots, to gigantic troughs - all of them make great homes to hardy succulents, and as an added bonus, they don't require much in the way of winter care. Just keep them close to the ground but with room for water to drain out, and they'll just continue to get better every year. There's something about moss growing on rustic hypertufa planters! How do you contain your succulents? Share it! Do you have a crafty way to display your collection of succulent plants, Sedum, Sempervivum or other gorgeous Drought Smart Plants? Add your favorite planter to the Gallery for inspiration and ideas. Please make sure that you have whitelisted Drought Smart Plants in your email program so I can let you know when your page is live. Add your picture here - or more than one if you have them. Click the button and find it on your computer. Then select it. I tryed the recipe suggested for Hypertufa hands....did it!! !